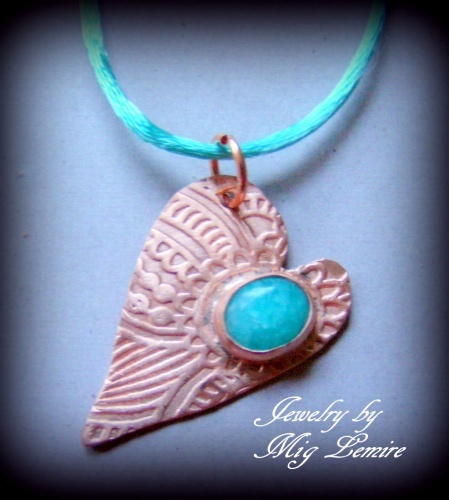 This pretty copper heart is embelished with a sweet Amazonite gemstone making the piece pop. Measures 1 1/4" by 1" wide. Comes on a matching silk cord.